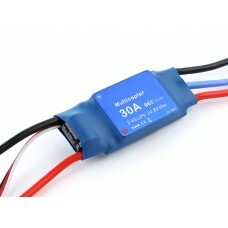 These Flycolor electronic speed controllers have been developed specifically for multi-rotor u..
GWS Brushless 25A 2-4S 2A BEC, Speed Controller.Weight: 18gBEC: 2A..
Spec.Amp rating: 30ABurst Rate (10sec): 40ABEC Output : 5.0V / 3AVoltage: 7.4-11.. 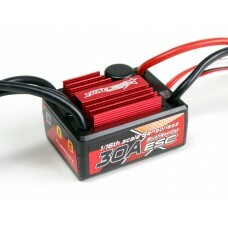 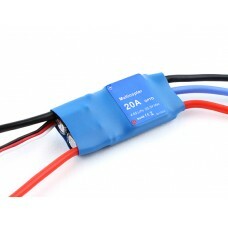 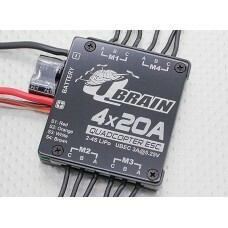 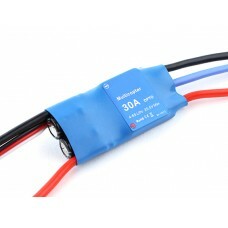 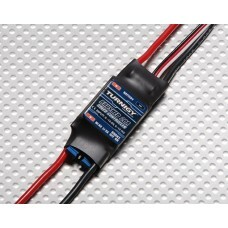 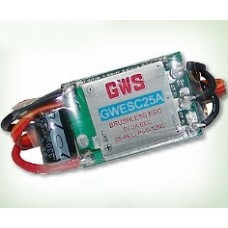 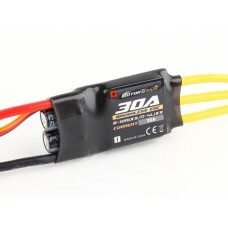 The Q Brain provides the perfect power solution for your quadcopter by incorporating 4 x 20AESCs int.. 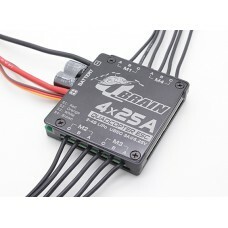 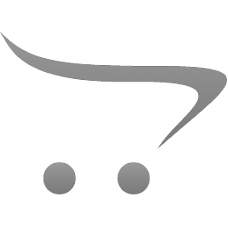 The Q Brain provides the perfect power solution for your quadcopter by incorporating 4 x 25A E..
Trackstar 30A 1/16th Scale Sensorless Brushless ESC The Trackstar 30A Brushless ESC is an..